My elbow keeps slipping on my leather chair when I read. great for cats who sleep on furniture! I would never choose this again. It was so flimsy. To cover a leather recliner and it matches my sofa. To protect my new furniture. Fits perfect in my Lift chair. We have a Canadian rocker that we have been unable to find replacement cushions and this seems to be an ideal solution. The measurements are slightly off but I am sure that I can make them work to cover the light colored cushions that we now have. Own pets and have grandkids, thought would try it. Chair is showing signs of wear and I need a cover to protect it. I needed chair protection and a "new" color for my chair. Helpful yet attractive. Also, washable. To cover my chair I am enjoying it . good and also I needed a chair cover. So there you go! 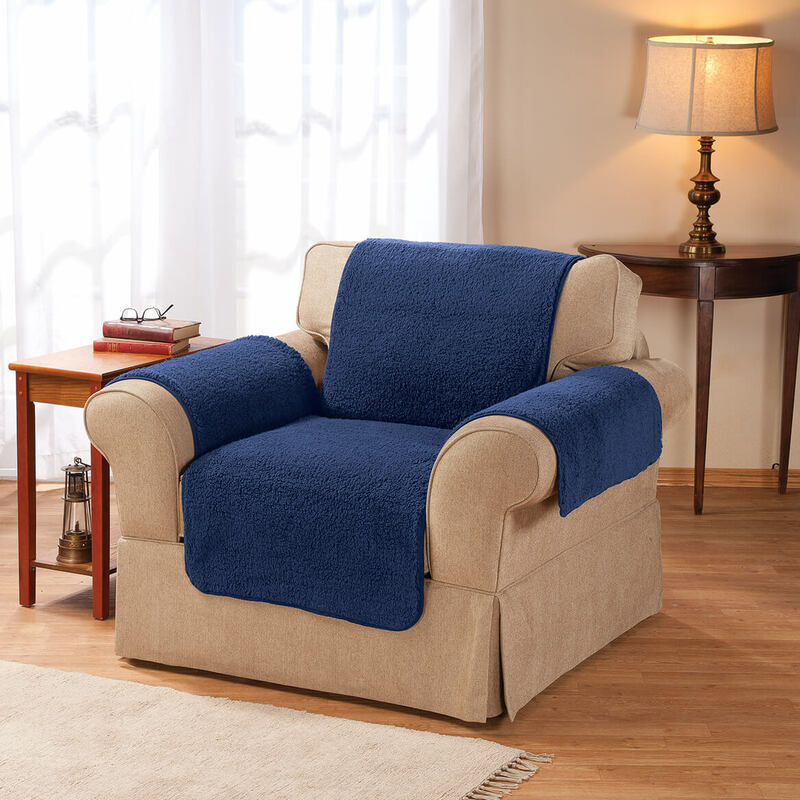 Bought this because I keep trying to make my favorite chair more comfortable. We'll see. needed something to protect furniture from our dogs. these work really well. replacement for the one I ordered before. Nice ! It looks like the one we would like. My original order did not get delivered! Now it's costing me more! I like the look of the fabric. Keeps the dirt from getting on the leather. For pet approved rooms for easier clean up. My husband wanted a cover for our recliner and he found this one. To protect the upholstery on my favorite chair from 2 very sweet, very rambunctious dogs! BEST ANSWER: Thank you for your question. 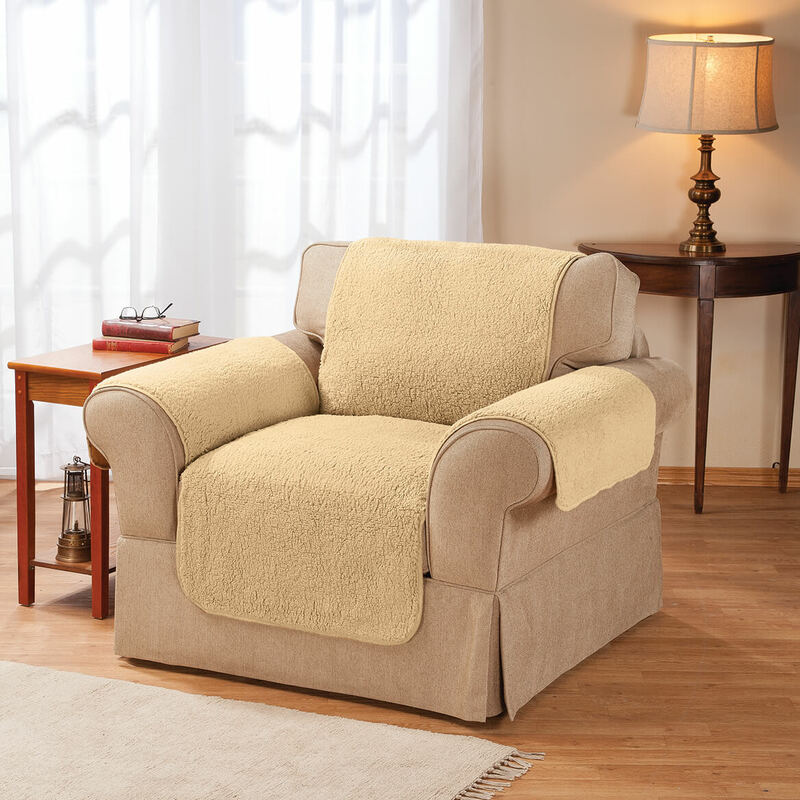 We do offer a Sherpa Loveseat Protector by Oakridge Comforts. It can be found on our website by searching for item number 350459. We hope this information will be of help to you. My husband loves it. Due to health reasons, he spends a lot of time in his chair and he loves the feel and comfort of them. I have sofa and a chair and a half side chair. Should I get cover for loves eat or just regular chair cover? BEST ANSWER: I bought mine for my husband's oversized recliner, and it works fine. The downside, you have to keep straightening it out and tucking it back in. I have the burgundy on the light camel chair like in the first pic. on the left. Hope this helps. Thank you for your question. This cover will only fit a chair, you will need to get a larger cover for the sofa. We hope this information will be of help to you. 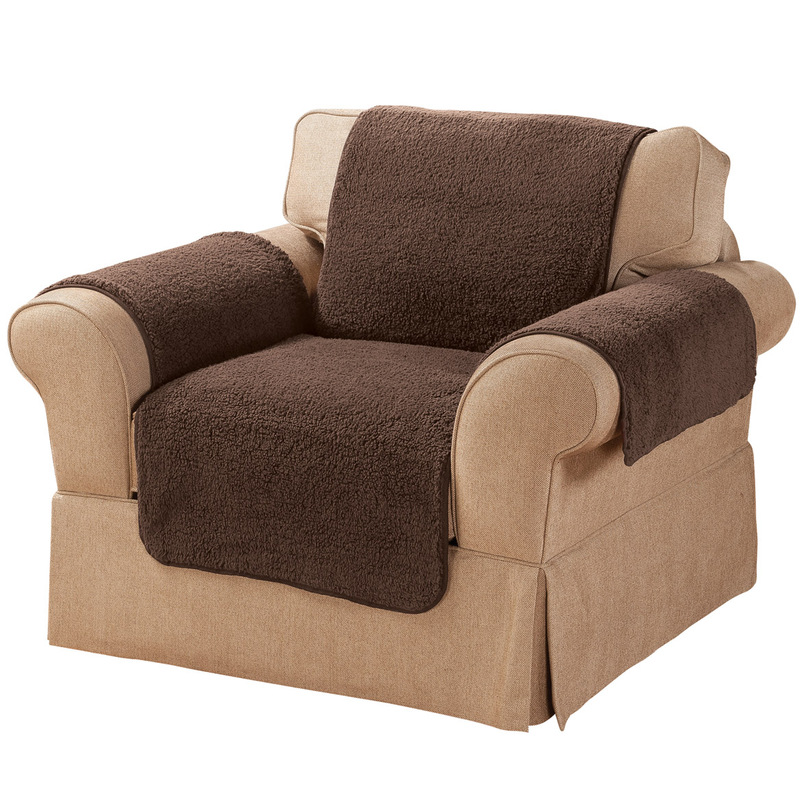 The chair size will fit a recliner size only. 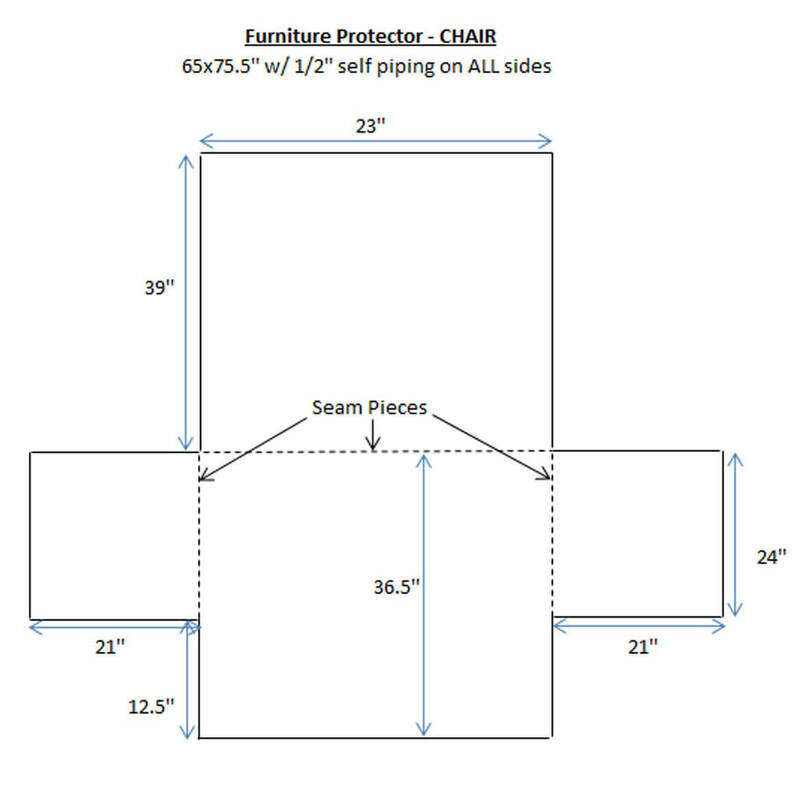 do you have this chair protector in smaller chair size? in a camel. BEST ANSWER: Thank you for your question. Unfortunately we do not carry any smaller sizes for the chair cover. We hope this information will be of help to you. do you sell the arm covers sep? BEST ANSWER: Thank you for your question. At this time we do not sell the arm covers for our chair protectors separately. We hope this information will be of help to you. Will it fit a 38" recliner, measured end to end wide? BEST ANSWER: Thank you for your question. 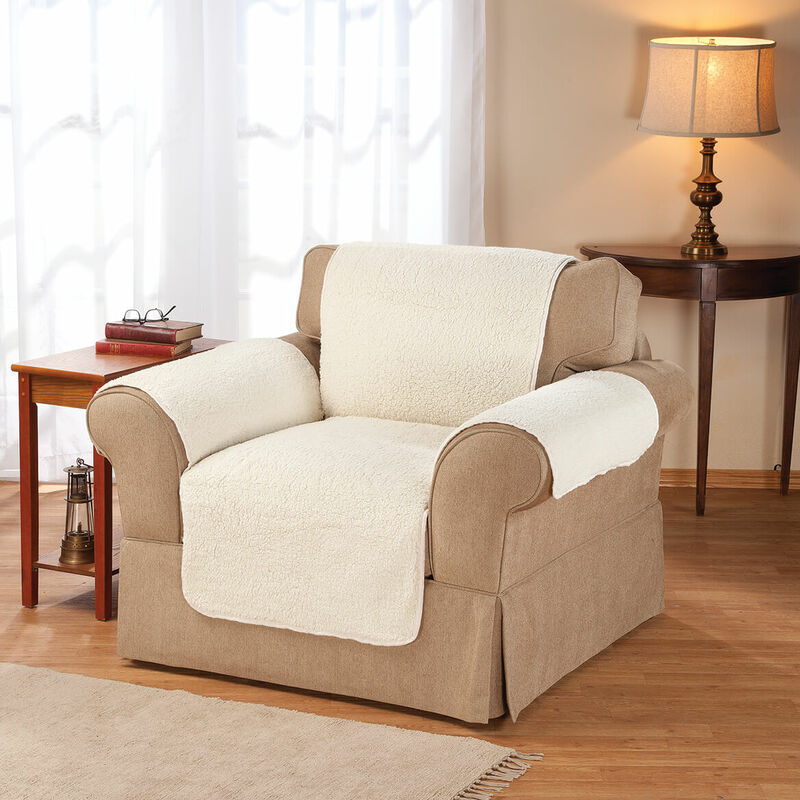 The Sherpa chair protector is one solid piece of fabric and measures 40" long by 60" wide including the arm rest covers. We hope this information will be of help to you.